List of places to go bird watching in PA. Find cool bird sanctuaries in Pennsylvania. They Know Birds at the Nature Inn! Located in beautiful Bald Eagle State Park, the Nature Inn is a wonderful place to relax yourself in the midst of the Pennsylvania wilderness, without sacrificing those creature comforts you love. This really is a premier spot for birding; you couldn't want a better location! Rise early in the morning and see some of these magnificent creatures at their most active right outside the front door! Did we mention that they're dedicated to educating their guests on local bird-life? They advertise all the "books, scopes, activities, and experts" that any bird-lover could need! Plus, you'll know that the Inn wants to provide all these comforts and amenities without leaving a huge footprint behind- they use responsible, green materials and techniques. 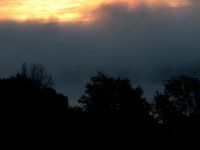 Among places to go bird watching in PA, the Inn at Bald Eagle has almost no equals! 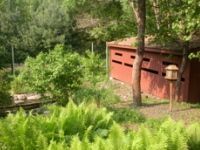 Friends of Wildwood Lake Nature Center, Inc.
A Great place for Bird Watching in PA! Wildwood Park in the Friends of Wildwood Lake Nature Center is a perfect place for bird-lovers to get out and see their favorite creatures! Their lush trails will afford you an opportunity to get up close to, watch, and take pictures of the birds you want to see, in a beautiful setting. Bring friends and family along with you to enjoy, or come alone and take advantage of their bird-blinds, where you can settle down and observe birds in their natural state, without them observing you! Amateur ornithologists won't want to miss this! The park is conveniently located right outside Harrisburg, and it's easy to get to. This nature center in PA is a great place to watch birds! Rated by Bird Watcher Magazine! Presque Isle is a beautiful place to spend the day in Erie, PA. In addition to miles of sandy beaches, the sparkling waters of Lake Erie, and long trails through the woods, the aisle boasts one of the premier bird watching spots in the whole state. 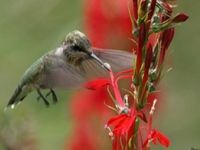 In fact, the park has been mentioned by Bird Watcher Magazine on their list of top places to watch birds in the U.S. You'll love wandering the park surrounded by opportunities to see birds in their natural habitats! Be sure to come at the right time of the season, and the right time of the day: generally, from spring to early fall is best, and nothing beats listening to birdsong in the early morning! 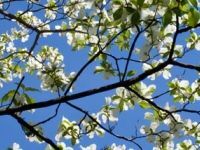 The Carbon County Environmental Education Center is dedicated to conserving the natural beauty and significance of the Pennsylvania woodlands. Their motto 'Conservation through Education" is the best statement of their goals- that the only way to make this (and the next) generation appreciate this habitat, and the creatures therein, is by helping us to understand them. And there is no better way to understand than by wandering the lush trails and seeing some of the most beautiful bird-life in PA. There are opportunities here for everyone to learn, from the most experienced amateur ornithologist, to the youngest student; everyone can take advantage of the resources the Center offers. You've Never Experienced Bird Watching Like Hawk Mountain! 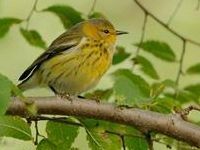 Hawk Mountain is a premier bird watching spot in PA! 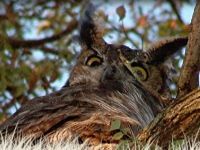 This wild bird sanctuary is located right on beautiful Hawk Mountain (part of the Blue Mountain Range) and offers experiences to learn about and observe gorgeous raptors in their natural habitats that you'll never forget! No matter how old you are, or how much you already know about the different species of majestic hawks that dwell in PA, they promise you will find something to capture your imagination. 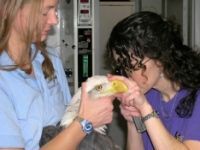 Why not make a visit to the Acopian Center where avian researchers and biologists work all year round on raptor preservation and education? Hawk Mountain offers hiking trails, as well as overnight visits, and arrangements for class trips! This is one of the best bird sanctuaries in PA! Come and Visit America's Bird Zoo! Founded on the former Plant Conservatory site in historic Pittsburgh, The National Aviary is America's Bird Zoo. Since 1952, the National Aviary has been promoting the welfare of birds by helping us to found an appreciation of these beautiful creatures, and educating us on the challenges they face in today's natural world, as well as those qualities that make them so special. The Aviary features their signature free fly rooms, where you'll have an opportunity to see the birds up close in beautiful constructed habitats! This is a wonderful place to make memories, and take some pictures! Parents and teachers will love the educational opportunities that the Aviary provides, and everyone will love seeing the Andean Condor, or the Eastern Screech Owl! This is not only one of the best PA bird sanctuaries, but one of the best in the world! Over 170 Species of Birds in NFP! 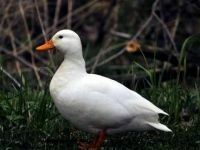 If you've been wanting to do some bird watching in PA, you'll find that Norristown Farm Park is a beautiful place to wander among the Pennsylvania wildlife, and observe some beautiful birds! It's been reported that over 170 different species of birds have been spotted in the park, so whether you're an amateur ornithologist, or an old pro, you're sure to have a day of exciting discoveries. There are a number of different habitats, including a working farm, floodplains, and, of course, forest land for you to enjoy! You can hike or bike through the park to spy your favorite birds, or you can take advantage of the Norristown park bird blind, and wait them out! The park is great for those who are seeking some new ground to watch birds, or those who just need to get out into nature for the day! Join Their Saturday Morning Group! Located in Eastern PA, the Churchville Nature Center is a prime place for bird watching. This unique spot, maintained by the Bucks County Department of Parks and Recreation, is dedicated to using its resources in the name of "education, preservation, and environmental stewardship." If you want to watch on your own, you'll have plenty of room to wander from those who make their way to the nature center each week to stroll its grounds, think, and drink in the sights. If you're looking for a little guided birdwatching, there's a group every Saturday at 7:00 AM, led by an experienced birdwatcher, when you can catch the birds at their most active in the early morning! Their beautiful, diverse grounds will offer you a great setting for watching birds! A Great State Park For Watching Birds! 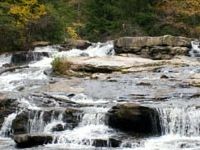 Ohiopyle State Park, located in Western Pennsylvania, has some of the most beautiful scenery you could ask for when bird watching in PA! What makes the park so wonderful is the diverse assortment of habitats: the magnificent Youghiogheny River Gorge is a perfect breeding ground for vibrant waterfowl, the deciduous trees of the forests running through the parkland (like the Meadow Run Trail) are home to many different species of birds, and even bald eagles have been spotted around the park! 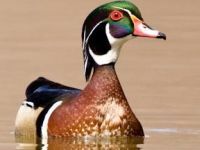 Here are some the birds that have been seen in the past: Hooded Mergansers, Ospreys, Wood Ducks, and even Blue Herons. Enjoy a quiet day of watching birds in the natural beauty of the Pennsylvania wilderness! Free Bird Watching in PA! The John Heinz National Wildlife Refuge is open to visitors, free of charge, from dawn till dusk every day. The refuge takes a strong educational stance to conservation, believing that the best way to convince people that lands like these are worth saving, is to let them experience the natural beauty for themselves, and to teach them alternatives to our destructive behavior. Around their ten miles of hiking paths, and through the deciduous forest, you're sure to see beautiful birds in their natural habitats! Here are some of the birds that have been spotted around the park: Pied-Billed Grebe, Black-Crowned Night Heron, Northern Harrier, and Spotted Sandpiper! Grab your binoculars, and spend the day! This is one of the best places to go bird watching in the whole state!